While David Beckham is settling into life in Paris, the show must go on for the Los Angeles Galaxy and the MLS as a whole. The departure of one of the sport's most recognisable faces is unquestionably a blow, but there is plenty to get excited about with an intriguing race for the MLS Cup set to begin on 2nd March. The Galaxy and Houston Dynamo have contested the previous two showpiece finales, setting the standard for the rest of the chasing pack. It is time for others to crash the party. So, what are the teams and storylines to look out for? The Galaxy, Beckham or no Beckham, will be contenders. Robbie Keane and Landon Donovan will take central roles again, with a possible deal for Frank Lampard also still on the table. With a good blend of game-changing talent and big match experience, this remains the team to beat in the West, especially with the added motivation of proving they can win without Beckham. A "three-peat" is a big ask, though. With a bulls-eye on their back, will they get the breaks they need to become the MLS' first back-to-back-to-back champions? If Lampard does opt for a switch to The Home Depot Center, pencil in LA for the MLS Cup. The loss of Fredy Montero hurts the Seattle Sounders' chances of another deep playoff run, but Osvaldo Alonso's steel in midfield and a solid defence mean that they will still contend. Their home crowd also provides a major advantage since CenturyLink Field has by far the largest capacity in the MLS and, as a result, is arguably the most intimidating venue for opposing teams. Last season's best regular season team, San Jose Earthquakes, had a quiet off-season but are well positioned to challenge in the West, particularly if Chris Wondolowski continues his red hot goalscoring form. Wondolowski, last year's Golden Boot winner with 27 goals, just signed a new long-term deal with San Jose and has become one of the MLS' top talents. Look for both San Jose and Seattle to put together strong regular season records and carry momentum into the playoffs. Real Salt Lake made the Western Conference semi-finals in 2012 and optimism will be high. But RSL may well be overmatched against other powerhouses in the West, even after reuniting Robbie Findley and Alvaro Saborio in attack. It seems unlikely that they will be able to better last year's performance. Of the rest of the field, FC Dallas look the likeliest side to make a surprise surge but that is a still a long shot, even after papering over the loss of Brek Shea by signing Eric Hassli and Kenny Cooper. It is also worth noting that former Manchester United defender Mikael Silvestre will be bringing his know-how to Portland Timbers this season, but the Frenchman will have little chance of adding to the trophies he won at Old Trafford. The East is notoriously tougher to predict as shown in the past few seasons. There are a large pack of teams with little to choose between them but Houston Dynamo and Sporting Kansas City appear the likeliest to emerge on top in the regular season. The MLS playoffs, of course, are even more of a lottery. Houston have proven their appetite for the big games, rumbling to back-to-back MLS Cup appearances that few saw coming. 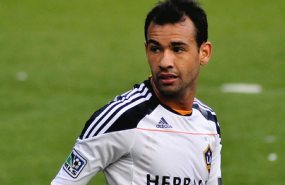 In Brad Davis, they have one of the league's biggest talents while the arrival of Omar Cummings sharpens the Dynamo attack. Sporting KC, meanwhile, saw some key figures leave during the off-season, most notably Roger Espinoza, who joined Wigan. But there is still plenty of quality in the ranks with USA international Graham Zusi likely to shoulder more of the load. For all their regular season wizardry, Sporting KC have been a playoff flop. Getting over that mental hurdle will be the big challenge for this season. But both Houston and Sporting KC will be looking nervously over their shoulders. Their track record affords them greater respect at this point but there is definite potential and momentum building in Montreal, New York and Chicago. Across the border, Montreal Impact are certainly a team to watch, boasting a string of household names eager to finish their careers with a flourish. The Impact will benefit from a full season with Alessandro Nesta anchoring their defence and Marco Di Vaio spearheading the attack. Barring injuries and veteran players starting to show their age, Montreal could turn out to be dark horses in the East where Nesta will remind everyone why he was one of Europe's best defenders as recently as 2007 when he helped AC Milan win the Champions League. Thierry Henry, the 2013 version, might not be capable of dominating week in, week out these days but he remains a dangerous threat for New York Red Bulls, who are desperate to put two disappointing years behind them. Rafael Marquez has gone but Henry will have support from former Everton man Tim Cahill and Brazilian free-kick maestro Juninho Pernambucano. Consistent regular season performances may not materialise, however they are a team no one will want to meet in the playoffs when the stakes are raised. Chicago Fire – and DC United for that matter – might not receive a lot of the spotlight but both have the chance to be the team that leaps to the next level in the East. For the Fire, Chris Rolfe holds the key while Dwayne De Rosario's goals will determine how far DC United can go. Spare a thought too for new Toronto FC boss Ryan Nelsen who left QPR's messy Premier League relegation scrap for an uphill battle of equal proportions. Nelsen he will need time and patience before he can lead the Canadian club out of their ongoing MLS nightmare, especially after captain Torsten Frings announced his retirement this week. Betting on football? Check out Inside Bet before you bet!